This weekend is National Fungus Weekend. 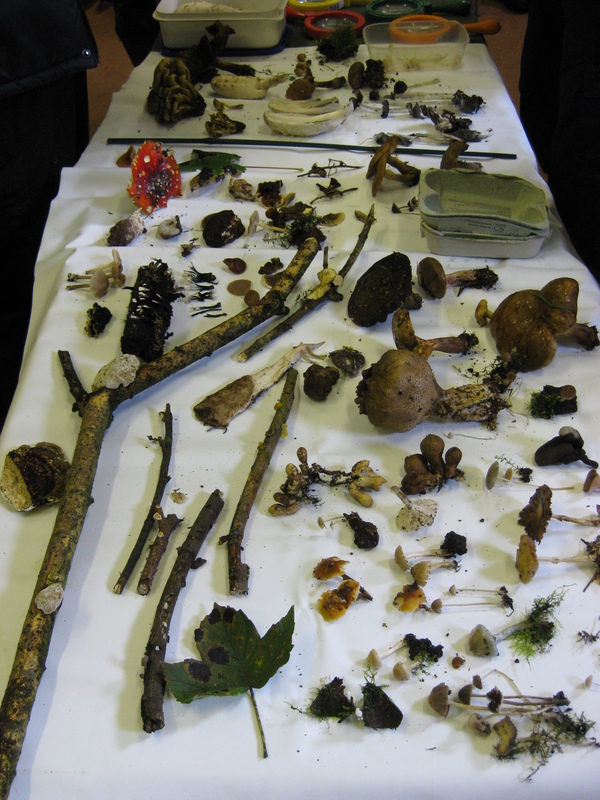 The aim of the weekend is for the British Mycologists Society to raise awareness of fungi and fungus science. Fungi is extremely important and without the recycling activities of fungi the world’s ecosystems would soon run out of nutrients. Plants without their fungal mycorrhizal partners to deliver water and nutrients, would not be able to grow and food would quickly become depleted. They also benefit us personally, one popular example of this is penicillin. Overall life on Earth would not exist without fungi! Along with it being very important for us to survive on Earth, it is also extremely interesting. 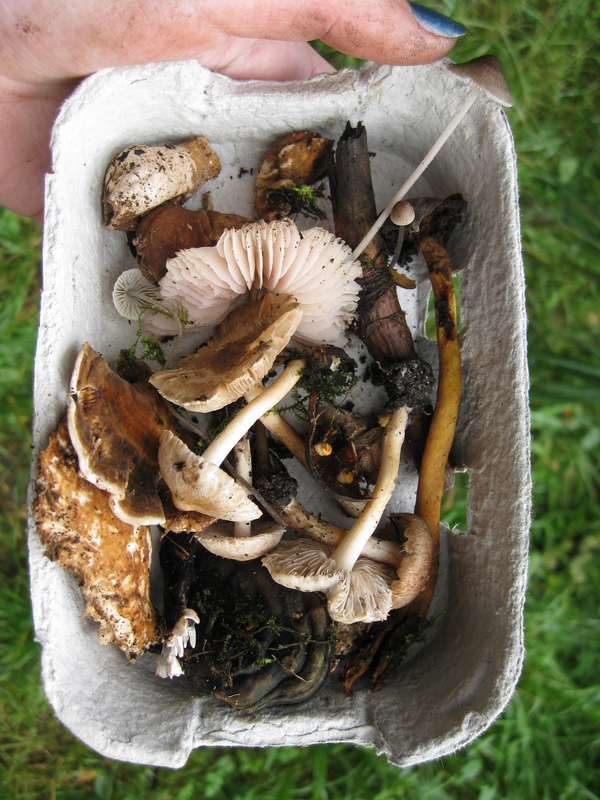 This morning I went on a Fungi Foray with my local fungi group, The Staffordshire Fungus Group, around the Staffordshire Wildlife Trusts reserve, The Wolseley Centre. 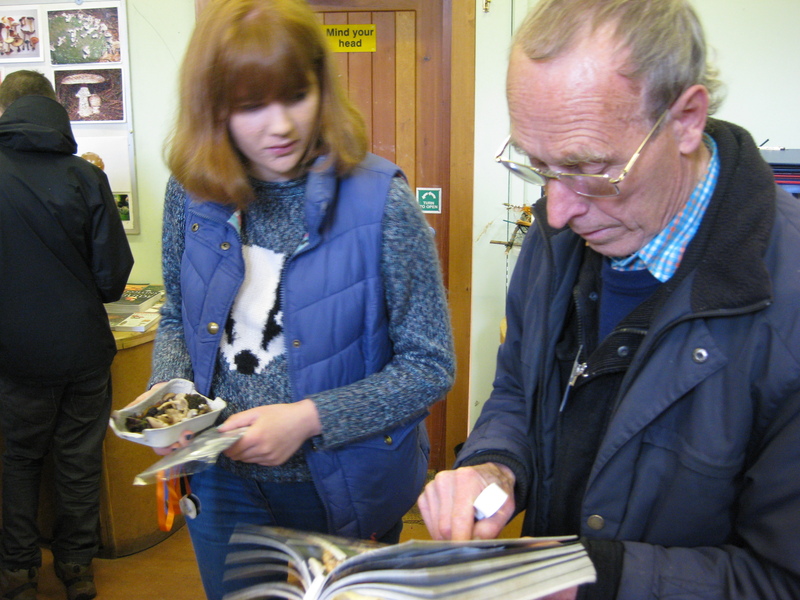 It was a very successful foray and we found and identified lots of interesting species. I thoroughly enjoyed myself! I was also very pleased to find the most interesting and rarest species of the foray. 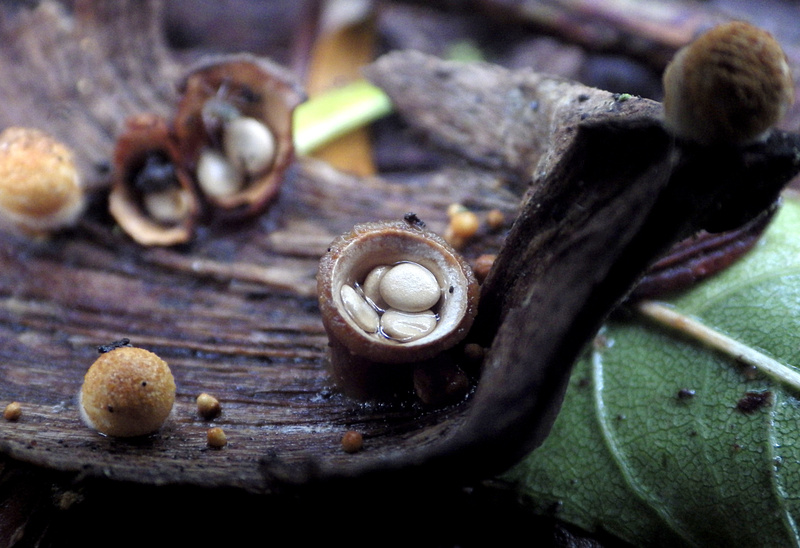 The fungus was a Common Bird’s Nest Fungi, Crucibulum laeve. We were all very excited to find some. Bird’s Nest Fungi are tiny cups, not much bigger then a millimeter by a millimeter, and at first are covered by a cinnamon-yellow membrane. When the membrane erupts it reveals a clutch of flattened white ‘eggs’ which contains the spores. Each ‘egg’ is attached to a cup by a minute cord. They dislodge when raindrops land inside the cup. 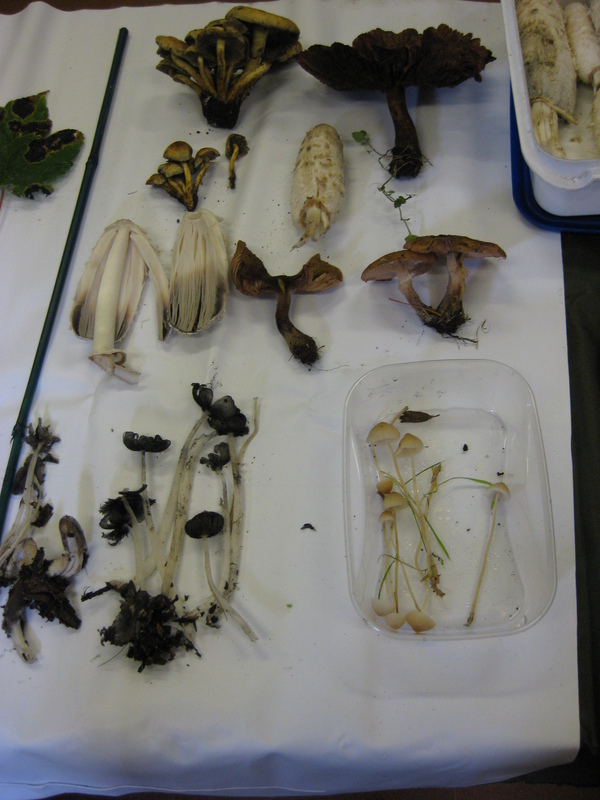 Here are some photos from the Fungi Foray. 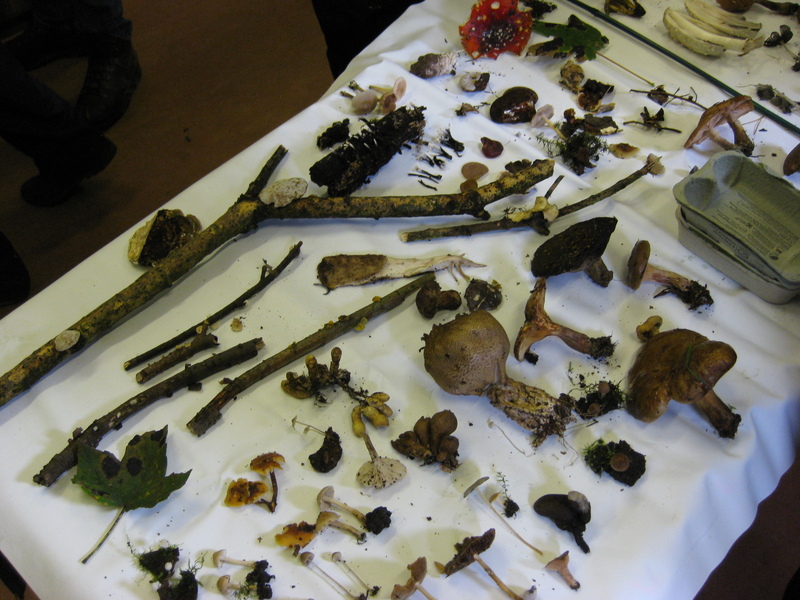 The displays of the fungi we found. 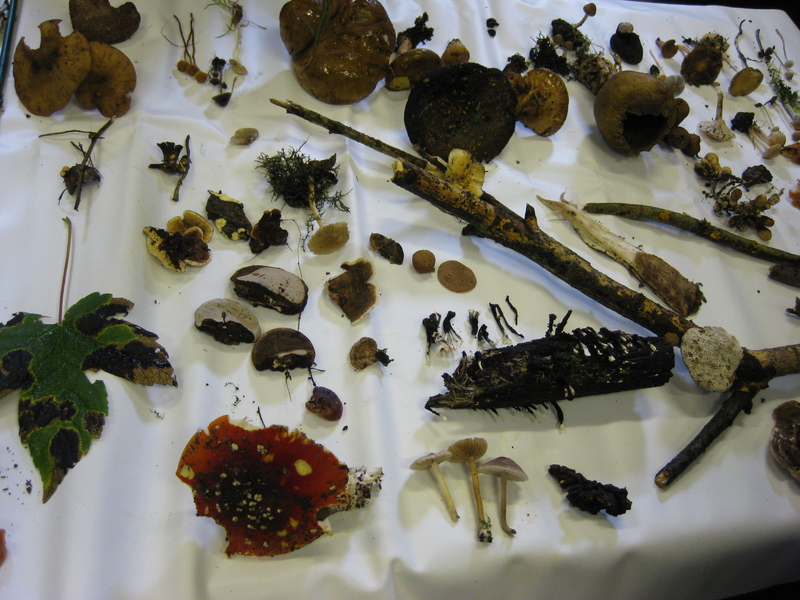 The selection of fungi that I collected. A photo I took of the Bird’s Egg Fungi.